And avoid dropping cash on expensive social media marketing help. WHEN HE LEFT Ireland for Australia in 2008, Ian Dowling thought the recession would be over when he came back in a year. His previous training as an estate agent was of little use to him in one of the biggest property-related recessions on record, and as he says himself, it was never “exactly what I liked doing”. I was looking for something to do I suppose…when I came back I had a blank canvas, and I just started dabbling in things online. One of those things was buying and selling Irish curios. He soon began to develop an expertise in the trade – and Rare Irish Stuff was born. Essentially, it’s an online shop which sells trinkets, artefacts and collectables that are uniquely Irish - the main purchasers are Irish pubs and the diaspora. The Facebook page, which was set up in 2011, is what sets the business apart. With over 176,000 likes, and interaction levels on posts that would make social media marketers weep with pride, it’s a class apart. However, there’s no highly paid consultant offering advice or agency partner manning the page day and night. The page is almost exclusively run by Dowling and his brother, the team behind Rare Irish Stuff. There’s reams written on social media marketing, but in the eyes of Dowling, who has built his brand’s online presence from the ground up, it’s not a wildly complex task – and shouldn’t necessarily be beyond an average SME. “Social media is one of the keys to our success. It’s helped bring a number of ingredients together and publicise it, it’s a massive part of our business”, says Dowling. Undoubtedly, he adds, it drives sales. However, you’re unlikely to see a special offer, a discount for liking-and-sharing, or other ‘calls to action’, as marketers refer to them, on the Rare Irish Stuff page. It’s more about creating a place with content that people feel an affinity for, says Dowling. Keeping it simple, he argues, is the best strategy of all. The right way to do it is to build the brand and following and then fit your products in with them as much as you can. If we stick to the brief, we attract the right people, and then it links back to the store. Choosing the right content to share is a big part of the success behind Rare Irish Stuff – and according to Dowling, it largely comes down to things that they enjoy. We do what we do because we enjoy old things, looking back at people in previous generation – Irish culture, helping people connect with it. The Facebook page has earned four social media award nominations, and Rare Irish Stuff has also been nominated for best e-commerce retailer at the upcoming net visionary awards. While Dowling is cagey about his plans for the future, he says that he has several plans for expanding the business. All of it, he says, will revolve around the same simple idea that has worked for the business already: keep to the brief, focus on the community and the content. Leave the hard sell out of it for the time being. Email “How to get 170,000 Facebook likes from callcards and Ashling copybooks ”. 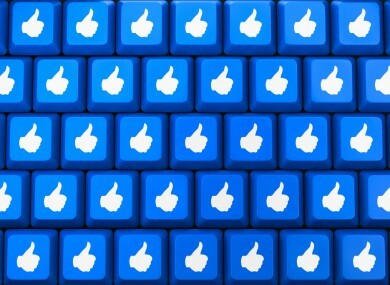 Feedback on “How to get 170,000 Facebook likes from callcards and Ashling copybooks ”.